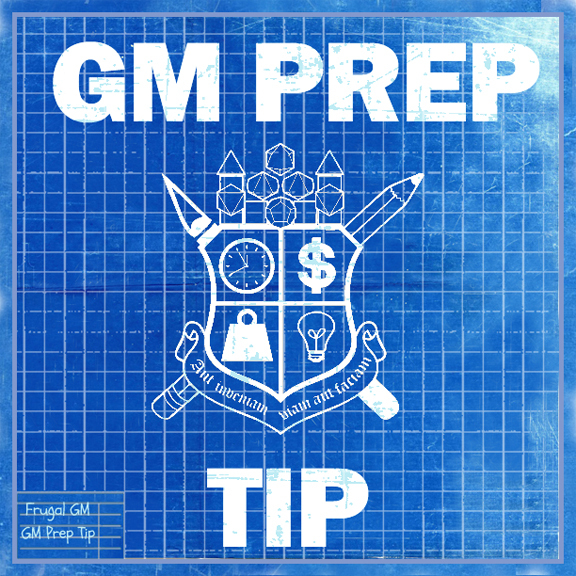 To be honest, this GM Prep Tip is just as useful for players, assuming your GM approves. This tip also assumes that you play using a battlemat or map of some sort, online or off. In the past I've used soft, flexible craft foam to create spell effects templates. When my DS Invoker (this was 4th Edition HackMaster) started tossing Lightning Bolts and Fireballs around the game could (depending on the GM) crawl to a halt while the GM tries to figure out where the spell effects occur. Many spells have simple enough areas of effect that you don't need a template. One target within 100'? No problem. 2000 cubic feet starting within 40' and being deployed in a 5' wide and 10' tall corridor? Oh boy, this is going to get messy. personally try to plot everything out on the battlemat, but I tell my players that this is not a perfect representation and while you think that target is four squares away and the scale is 5' per square, it might actually be 24' 6" away instead of 20' away. Nothing bugs me more than a player tapping the table to count the distance to get the perfect placement. The fact that I have to catch myself from doing this as a player is not lost on me. 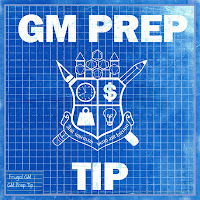 By making some spell effect templates in advance all the GM has to do is figure out where the spell is going to start and set the template down to see where the effects occur. Some spells might require multiple templates (like fireballs for different sized areas). 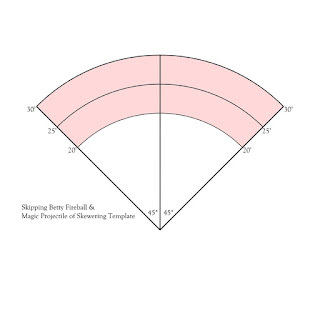 For spells that have the ability to unexpectedly change, like a Lightning Bolt bouncing off of a wall, creating the templates from flexible craft foam let you fold the template back on itself to see how far back it reflects. These days when I make a template I tend to have them printed out on transparency film and 3-hole punched to be put in my GM binder. If you have the template as a digital file you can re-size it as needed to use with your online games as well. Creating templates for your NPCs and or PCs can save a ton of time at the table, which helps keep your game flowing smoothly.